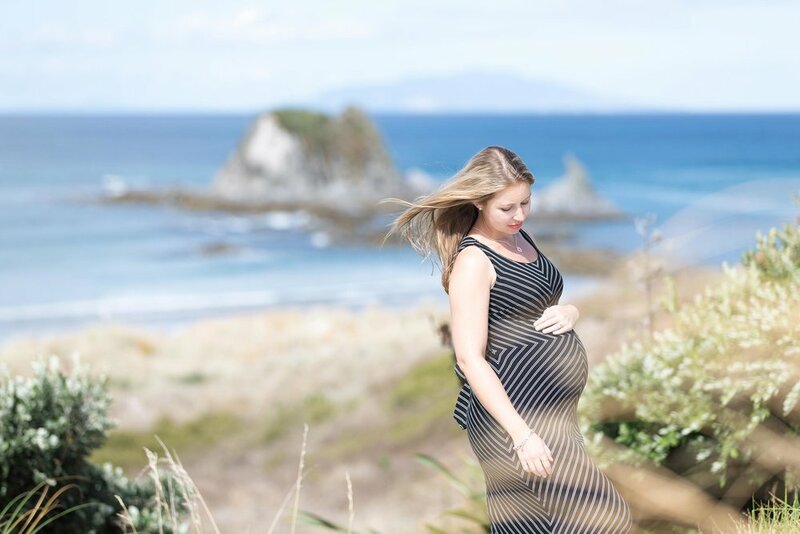 Auckland Family & Wedding Photography | L&G Images - Auckland Pregnancy Photographer: My Maternity Photoshoots! 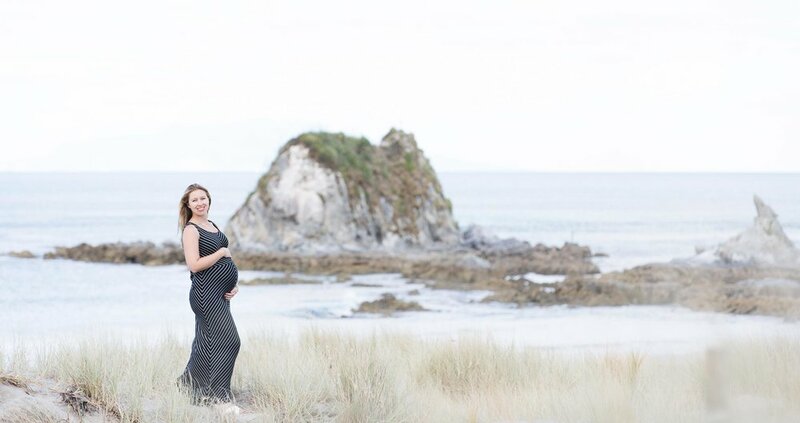 My lovely husband Grant took these photos of me at our favourite holiday place North of Auckland at the beautiful Mangawhai Heads. 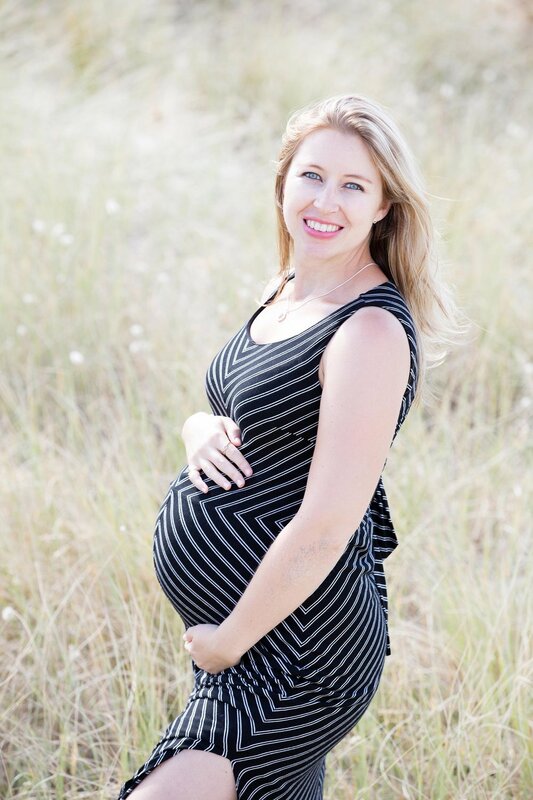 I was 30 weeks pregnant at the time, he did a really great job! It was a change for me being the model for this shoot, but it helped being comfortable with the photographer! 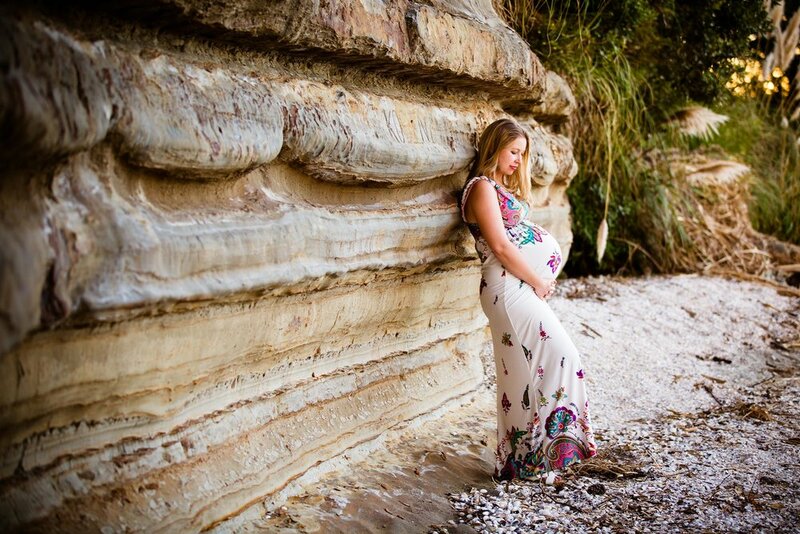 Grant also took the sunset photos when I was 37 weeks pregnant at our local beach in Auckland. The evening light was beautiful and I am so happy to have these photos of me to remember this special time of life! 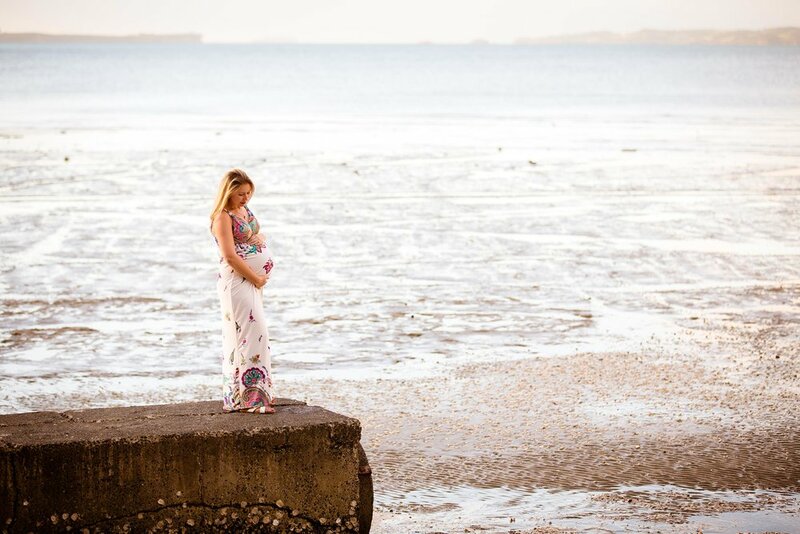 I definitely recommend getting maternity photos taken, its such a nice thing to have to look back on.